The Book Blogger Hop is a lovely meme conducted weekly to allow fellow book bloggers and book blog readers to discover new blogs we love to read! The Hop is hosted by Crazy-For-Books, for more information and other participating blogs please click the link! “In honor of Banned Books Week, what is your favorite “banned or frequently challenged book”?" I couldn't pick between two of the books from the list, I just couldn't! So here are my equal favourites of "banned or frequently challenged book." These are two of my all time favourite books, I have to admit that I didn't know to much about banned books before this week, and I am probably still not all that informed about it but I was surprised at some of the titles on the list. I don't think it is right to have people telling you what you can and can't read. For more information about banned books week see the link above, and for the list of banned books for 2010-2011 please see here, and for banned books of 2009-2010 please see here. Haha I couldn't choose either! 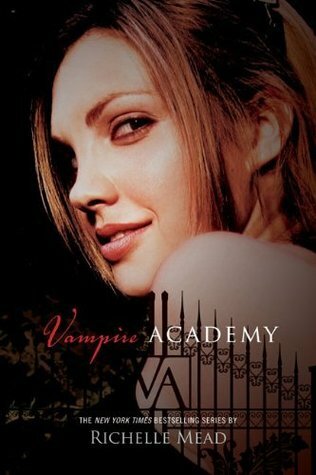 :D I picked The Hunger Games and a few others-- I didn't thinkk of Vampire Academy but that's another great pick, I'm working my way through that series right now and I LOVE it!! You can see my Hop post for this week at the link below! Those are two great series of books, I have read and enjoyed both of them! I agree that banning books makes no sense. I didn't know the Vampire Academy was challenged. That's interesting. Great choices! I love the Hunger Games but have yet to read the VA series. I didn't realize VA was challenged or banned either. huh.